John Windle, WIT Novus Senior Manager, has been unanimously ratified onto the Student Sport Ireland Board of Directors. 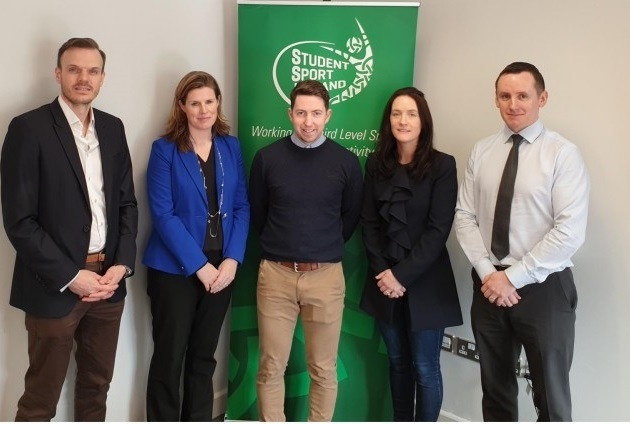 Student Sport Ireland is the governing body of third level sport in Ireland the organisation works to enhance student health and well-being through increasing participation in sport and physical activity in third level colleges in Ireland. John will take up the role of National Children’s Officer an imperative element within Student Sport Ireland. Speaking following his appointment John outlined how he was “delighted to represent WIT on the board and I look forward to using it as platform to promote and develop student sport not only in WIT but across all third levels institutes”. John has extensive knowledge in child protection from his experiences in coaching swimming and athletics as well as being responsible for large group activities for children. John has completed his Safeguarding Level 1 and 3 as well as his TUSLA Children’s First E-Learning Programme course. As a Senior Manager within WIT Novus, John is responsible for the management of several divisions within the company including the WIT Arena Manager, WIT Head of WIT Vikings Sport and Manager of WIT International Summer Business. These roles along with John’s 16 years’ experience working in the Fitness and Sports Industry, has provided him with a wide range of knowledge in Finance, Governance, Human Relations and Health and Safety and Child Protection.